If you're reading this, there's a good chance you enjoy an adult beverage every now and again. And while a good cocktail is often interesting on its own — particularly in a state where small craft distillers are forever pumping out new and exciting spirits — sometimes you want more than just alcohol to entertain you. Whether you prefer an umbrella drink by water's edge or a vodka tonic with vintage video games, the Queen City's got your back. 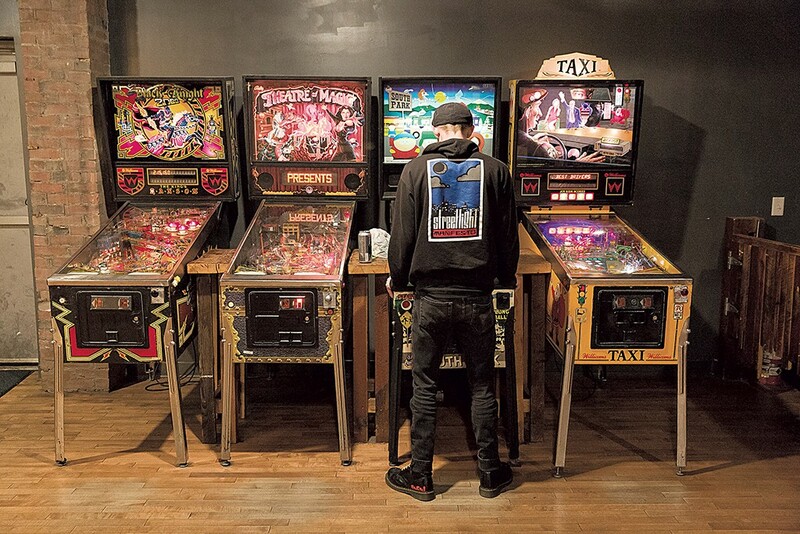 Let's get this out of the way: The Archives is an adults-only arcade, for good reason. The cocktails might have R-rated names — such as A F***ing Vodka Drink, a blend of vodka, ginger-lime syrup, juice and spritz — or come spiked with cannabis-derived CBD. If that doesn't do it for you, check the selection of sakes and 24 craft beers on draft. But the Archives' finest virtue? You can tip back a cold one and get your NBA Jam or Pac-Man fix without feeling like the creepy old drunk in a room full of nerdy teenagers. The cocktails at Hen of the Wood are forever at the top of every "best of Burlington" list — and rightly so. The beloved farm-to-table restaurant is the place for a perfect old fashioned, martini or Manhattan. But it's also downtown's hot spot for $1 oysters, available daily from 4 to 5 p.m.* Those hours just so happen to be about the only times you'll be able to snag one of the comfy lounge chairs by the bar and cozy fireplace. Stonecutter Spirits cofounders Sas Stewart and Sivan Cotel craft excellent barrel-aged gin and whiskey — but they've gained a reputation for their immersive, booze-driven experiences. In collaboration with local chefs, florists and artists, they host seasonal Adventure Dinners everywhere from boats to barns, orchards to decaying industrial warehouses. They conjure "secret" pop-up bars near their Middlebury barrel-aging facility. And now they spread the booze seven nights a week at their new South Union Street bar, Stonecutter Spirits Highball Social. Inside the hip, neo-speakeasy lounge, you can sip an artisan cocktail — or perhaps a sparkling wine or draft beer — with a slice of pizza from Folino's next door. 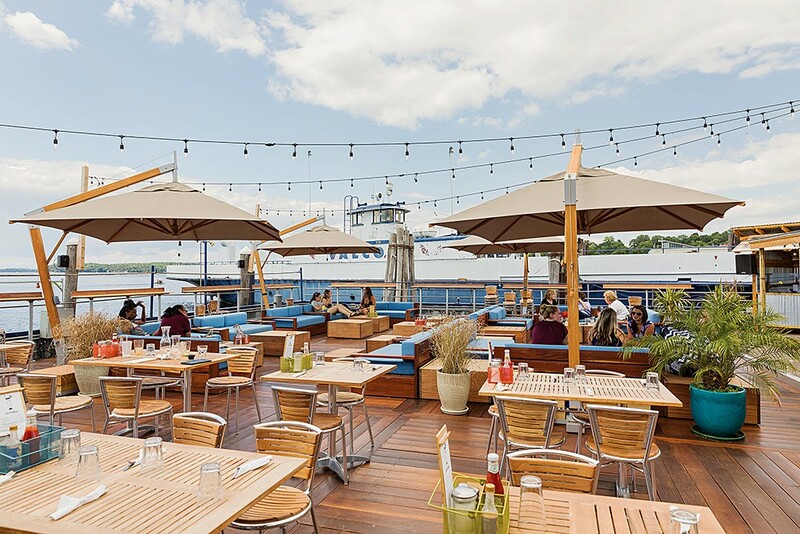 The Spot on the Dock has a tropical vibe with its boardwalk-style deck, wind-blown umbrellas and rum-heavy "Spottail" list. The piña coladas, mango margaritas and coconut mahi mahi sandwiches might fool you into thinking you've absconded to some island nation. But the seasonal restaurant's uninterrupted Lake Champlain and Adirondack views will remind you of all that's great about the Queen City. 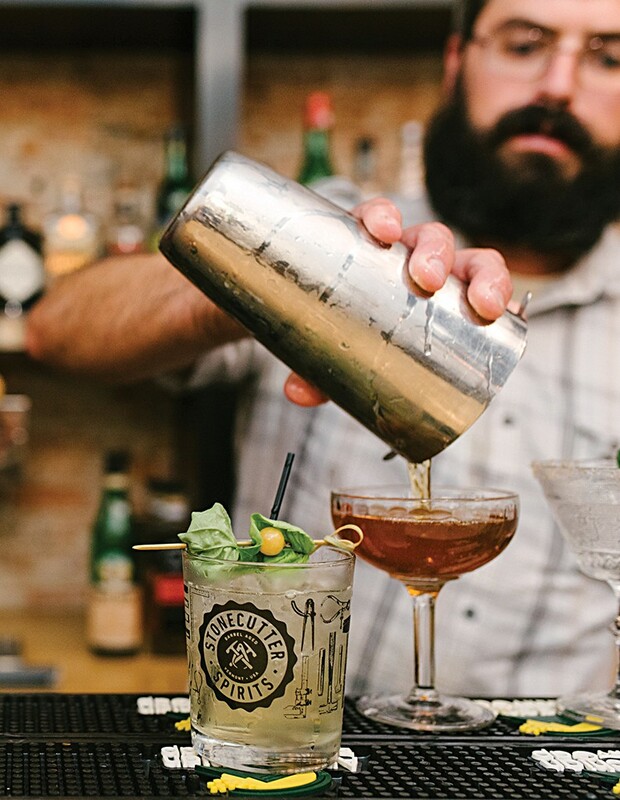 The Great Northern is an ideal place to wet your whistle on an afternoon gallery hop through Pine Street's dozens of art spaces. You can't go wrong with a whiskey sour spiked with Fernet-Branca or a fizzy glass of cava enhanced with gin, fortified wine and citrus. 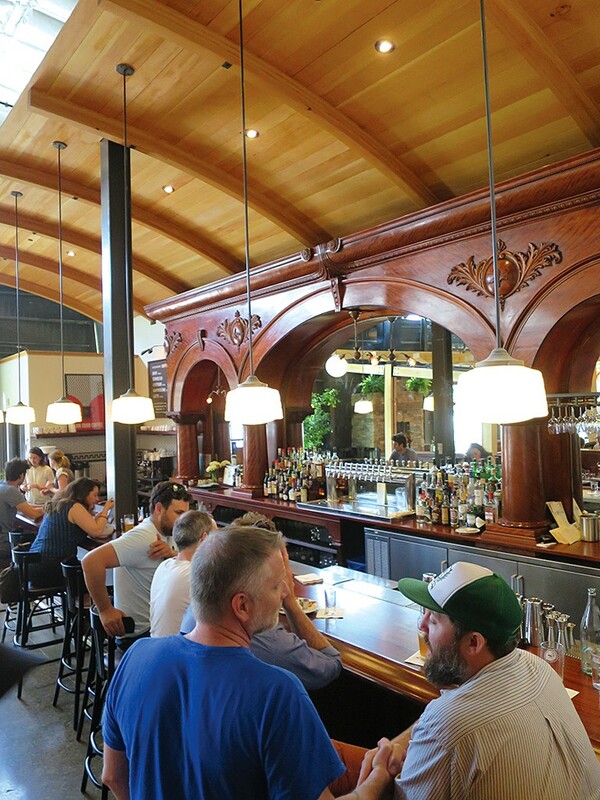 Sit at the bar and continue your artistic appreciation: The mahogany backbar boasts elegant 19th-century arches framing a set of mirrors, hand-carved adornments and columns. There are untold stories hiding within the historic woodwork, which traveled from Seattle to its current resting place. In 2014, Radio Bean owners Lee Anderson and Kat Wright lit up the fringes of the Old North End with the Light Club Lamp Shop. 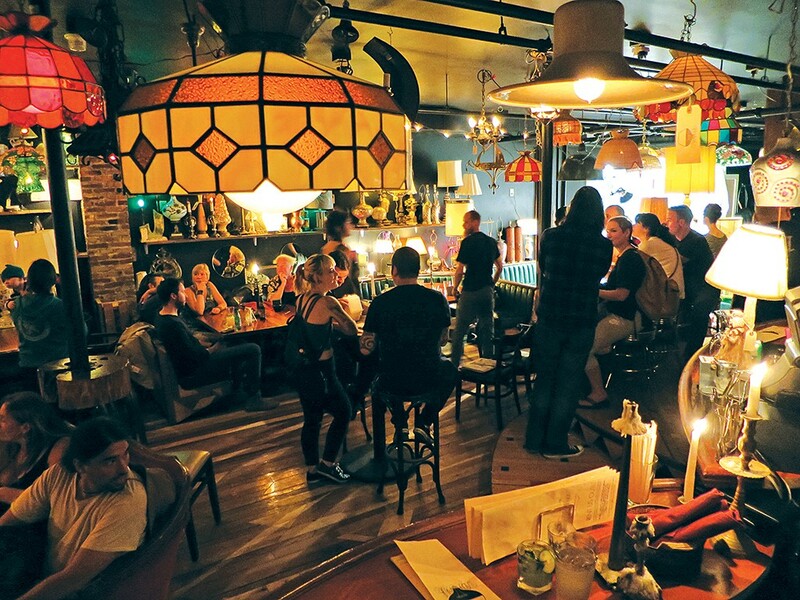 Inside, bohemian types sway to mellow music — think jazz, folk ballads and languid world beats — over artisan desserts and cocktails concocted with local spirits, herbs and juices. It's the kind of place where the lights are low and flattering, the company is friendly, and the bathroom is ornately decorated and big enough for impromptu make-out sessions. And — oh, yeah — the countless vintage lamps crowding the ceiling are for sale, too. *Correction, September 12, 2018: An earlier version of this story listed incorrect hours for $1 oysters at Hen of the Wood.